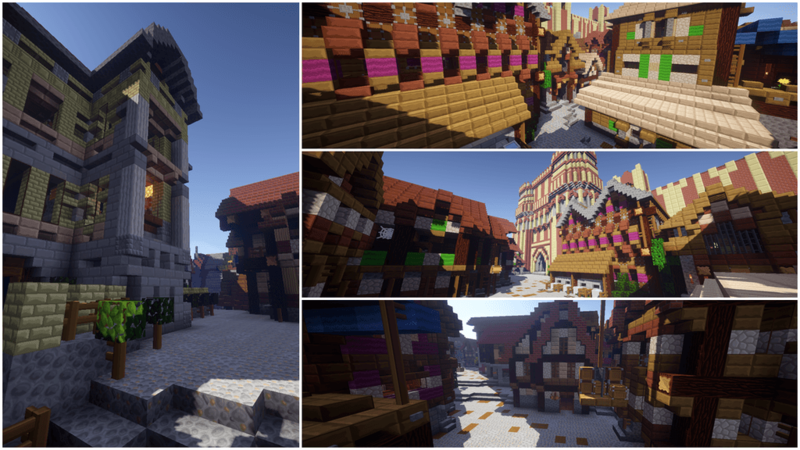 LIIE’s Resource Pack 1.12.2/1.11.2 for Minecraft is one of the most unique pack out there due to it’s cartoony and catchy style. It doesn’t need to be all flashy and overwhelming pretty to get your interest. 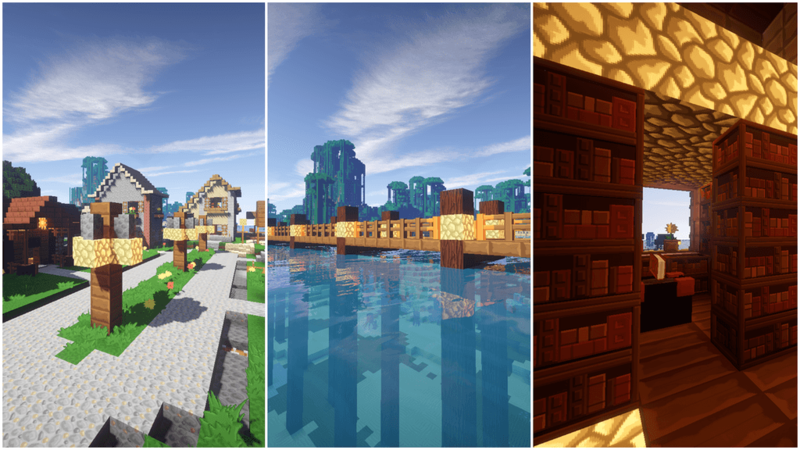 The Resource Pack has its way to impress you! 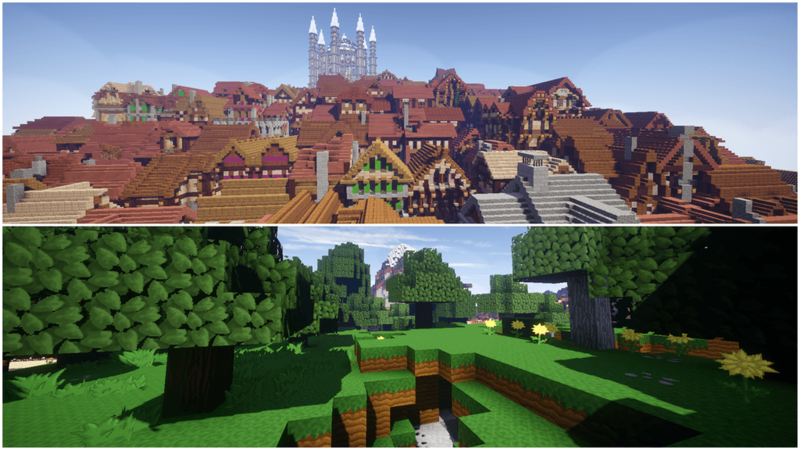 Unlike many other Resource Packs that focus on modifying some of the elements in Minecraft, LIIE’s Resource Pack makes everything in the game different, from grass patches to dirt blocks or armor you wear when Fight even monsters. The design of the armor in the LIIE’s Resource Pack is unique and beautiful, especially the iron armor details or the color change on the diamond outfit. Fans of the Final Fantasy series will immediately see the swords in the game become more significant and thicker than usual and will give them an instant impression of the sword buster sword from the seventh game in the legendary series. The prominent texture from LIIE’s Resource Pack is probably Grass’s texture. Not block grass, but grass is growing on dirt blocks, things you can cut down and sometimes get some wheat seeds. 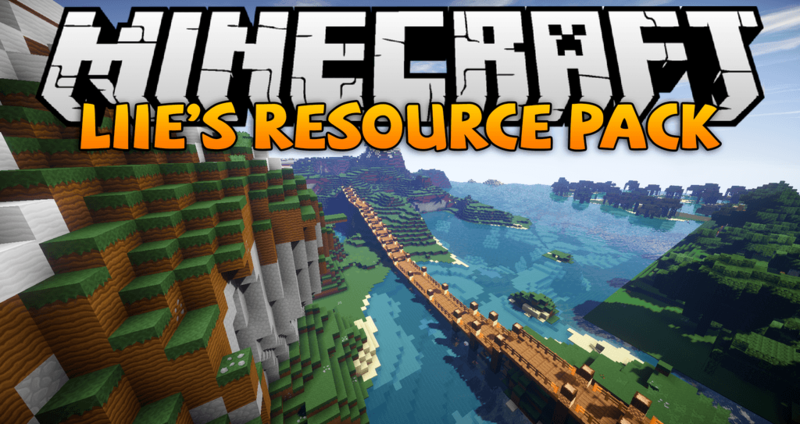 According to Creator’s words, this Resource Pack works with all versions of Minecraft, is it hard to believe? The 64×64 resolution is pretty good, especially when it allows things like the custom sky, custom water and changes the appearance of Minecraft. No texture looks the same in this pack, and no texture is too hard for you to identify. However, to use LIIE’s Resource Pack, you will have to install support mods like Optifine or MCPatcher to be able to use them.